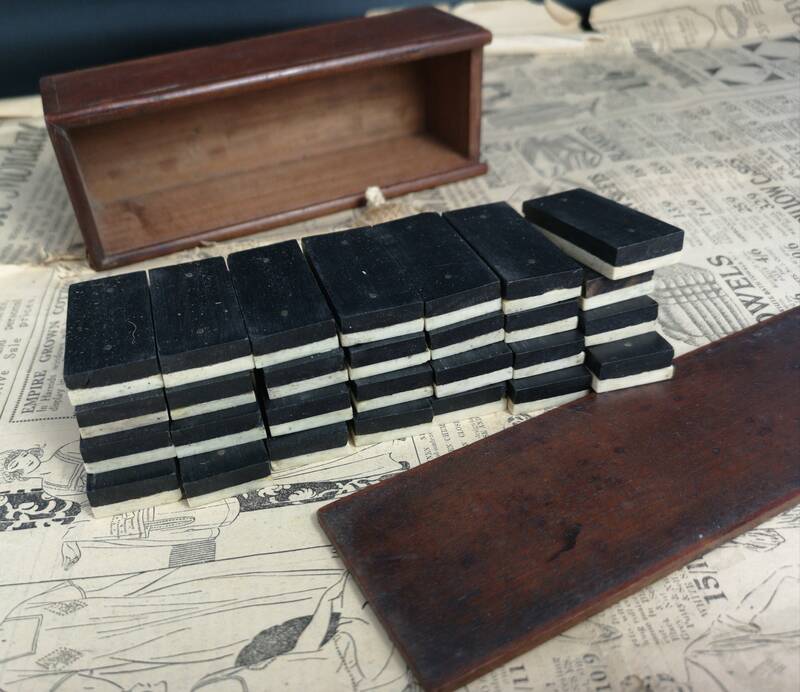 A charming set of antique bovine bone and ebony dominoes, the dominoes are large and heavy with brass pins. 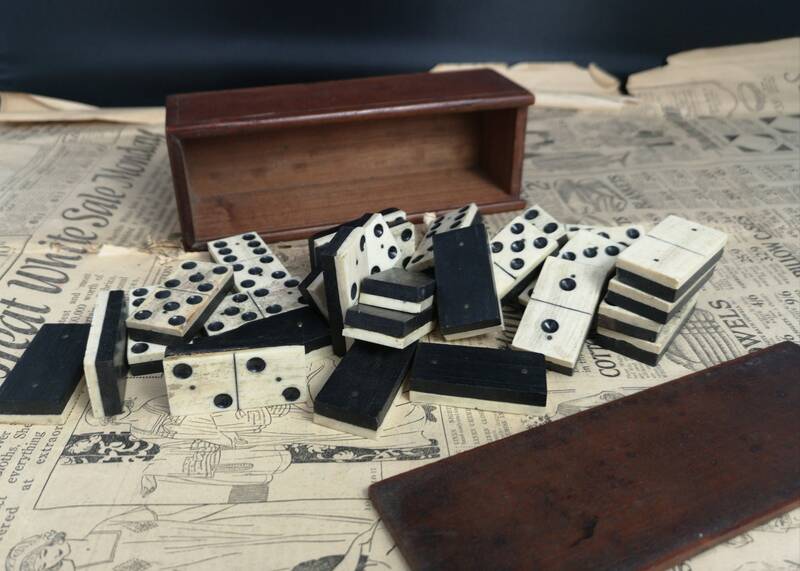 The dominoes are in a good overall condition, there is some age related pitting in the bone but this adds to the aged feel. 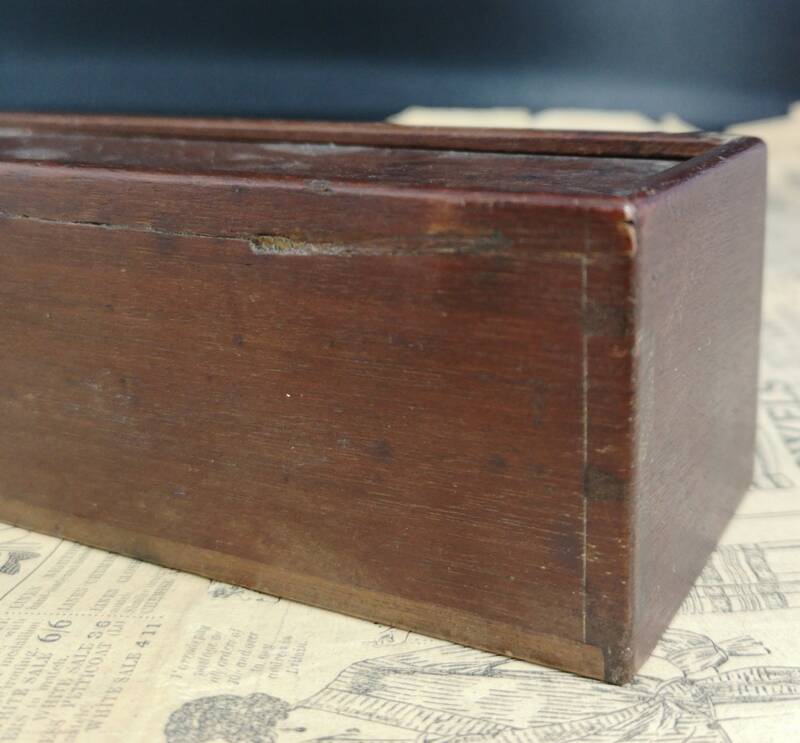 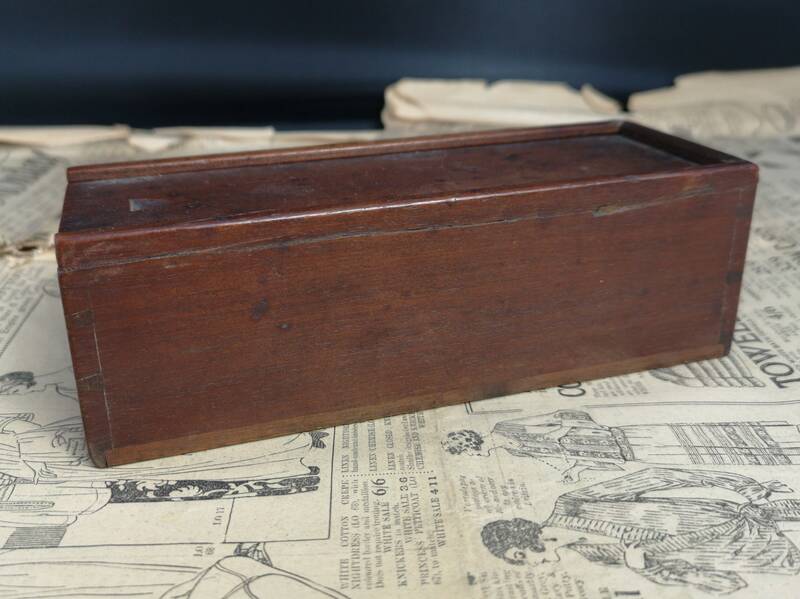 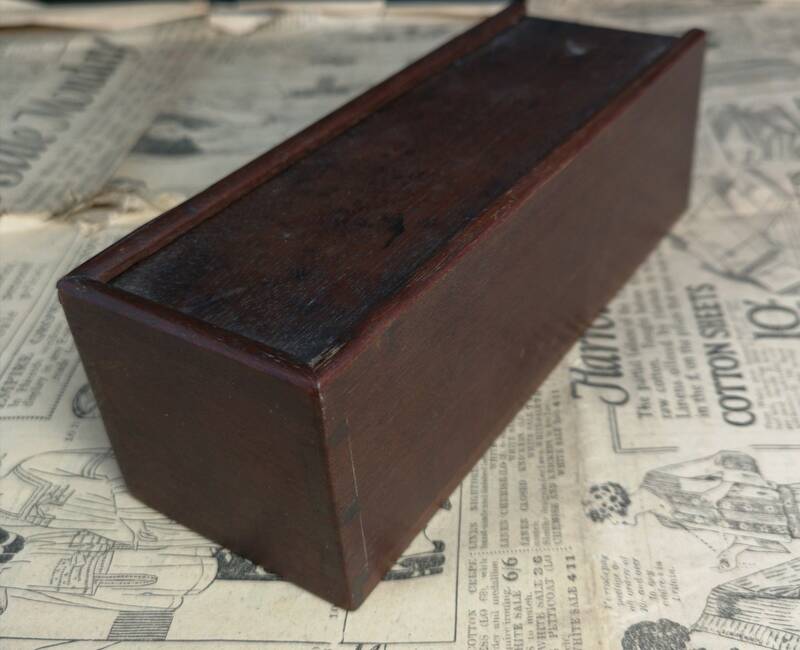 They come in an antique mahogany domino box with a sliding lid and dovetail joins. 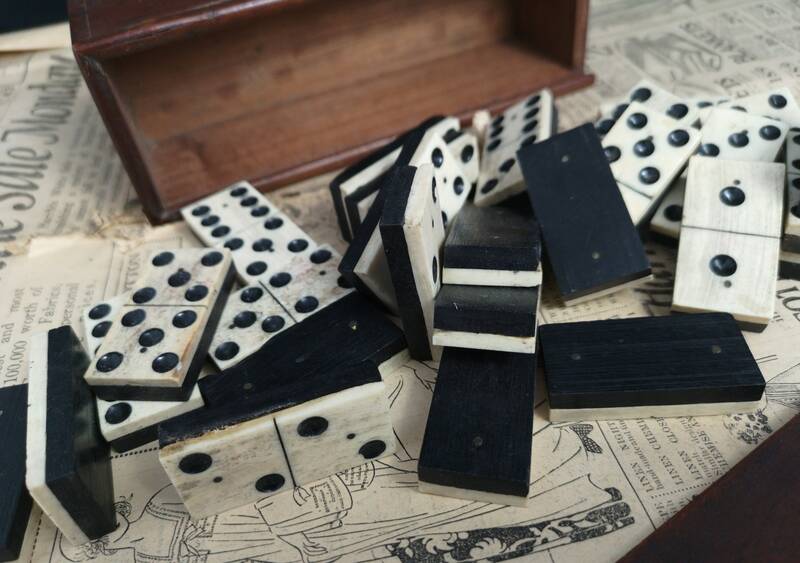 Full set of 28 dominoes. 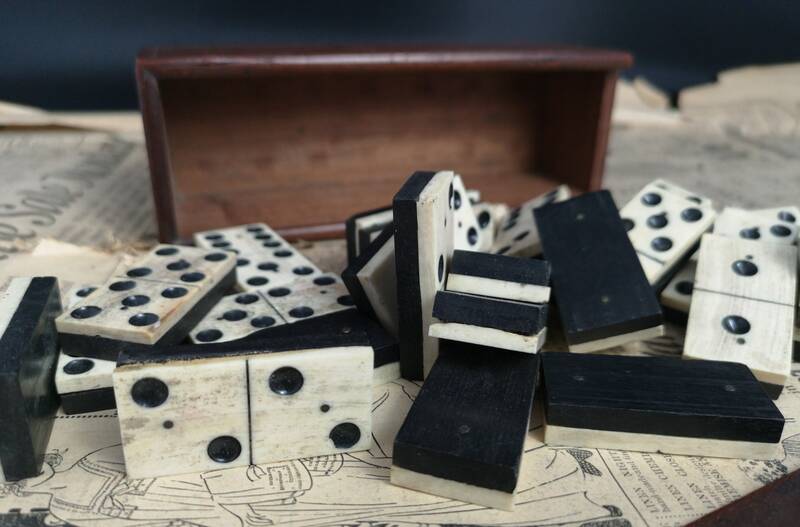 Each domino is approx 2" in length and 1" width, the box is approx 7" width, 2.5" length and 2.25" height. 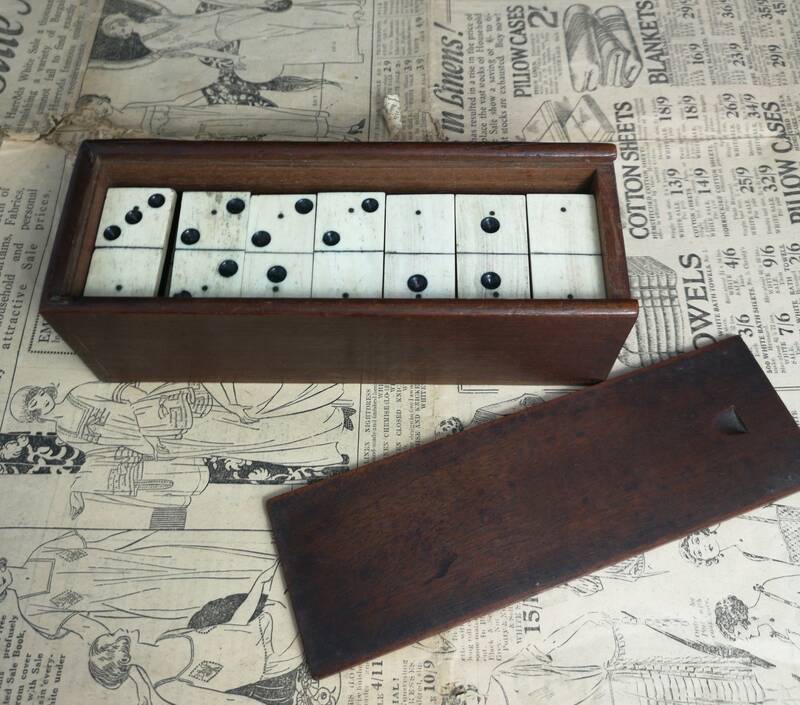 Overall a lovely set of antique dominoes.